This whole album is almost dedicated to the human stupidity. People understand many things wrong, and seriously try to find something where it is not or it can not be. In short, these songs involve to some serious problems in human life: As they choose their path of life, there is the complex relationships between man and woman, between the generations. In many cases, the adult persons (the situation in Russia is noticeable) often do not want to understand all of their children, therewith they are indifferent to the younger generations than themselves. But because of the driving sound which comes from the bottom of the songs, and because of the combination of music and lyrics, it turns out the music to unleash every tension. It become very thoughtful and sensitive music. And the final matter is what kind of the songs fit for the mental state of modern people? It is made ​​of reeds. If the judgment day and the end of the world even comes, it will surely survive. Because it is made ​​of reeds. Vasteras is an alternative rock band based in Yaroslavl, Russia. Yaroslavl is also a city that fabulous one man post metal band Neko Nine based. In 2011, this old World Heritage city send out a new musical sensation, it is this fresh young four piece rock band. Pushing hard noisy guitars, sharp driving tight rhythm and quite powerful vocals from very charming woman. Its sound style is simply candor and impulsive and charging through without any manipulation. The songs have been bubbling up from the bottom of their emotions spurt with a very solid straight sound. 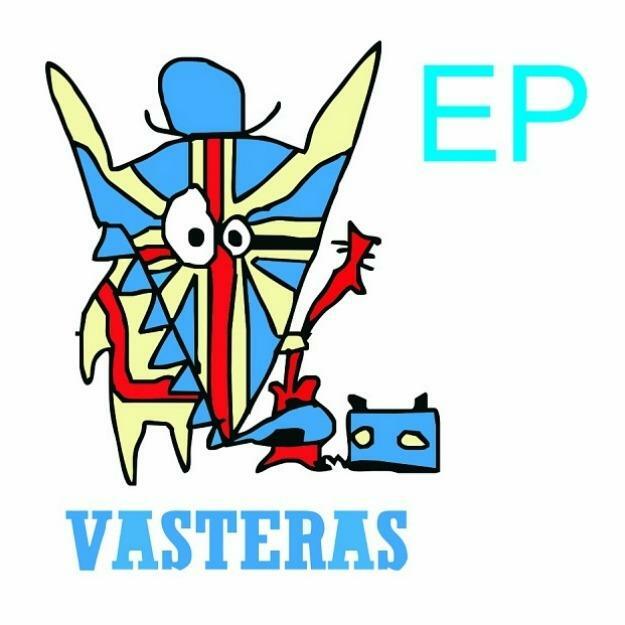 This EP is a debut release from Vasteras. Here are contained seven songs that were played and recorded with young and straight will. These good rock songs of the school of nineties Britpop and traditional British rock, would attract and appeal so many people.